This property, between the Wiouwash Trail and Highway 45, is being considered for a new Acton Academy. A new kind of school, which says it “turns learning upside down” by doing away with traditional teachers, grades and coursework, is being planned for Oshkosh by the two daughters of Sen. Ron Johnson. 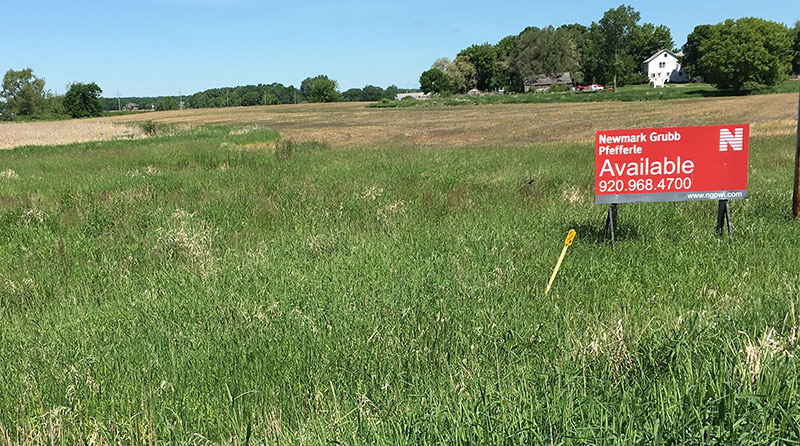 Carey Sharpe and Jenna Golem, who have been working for the last year to renovate the old Eagles Club downtown, have set their sights on a 70-acre parcel of farmland and marsh that sits between Highway 45 and the Wiouwash Trail just off of Interstate 41. There they want to establish a branch of the Acton Academy, an Austin,Texas, based franchise network that has drawn positive notices both in left-leaning publications such as the Huffington Post and in conservative ones like the National Review. Acton comprises an unusual mix of educational approaches. These include the student-centered philosophy of Maria Montessori, the question-based method of Socrates and the real-world pragmatism of Harvard Business School. In fact the co-founder of Acton, Jeff Sandefer, is an HBS grad who made a fortune in the energy industry. A serial entrepreneur, he also taught as an adjunct professor at the University of Texas. Although he received rave reviews from students, a dispute with administrators turned Sandefer into a vocal critic of higher education. This disagreement also led him to becoming an influential adviser, and generous donor, to former Gov. Rick Perry, according to local press reports. While some students will turn out to be business leaders, the website lists a range of potential occupations that it is preparing students for, everything from a service worker to a parent or an artist or a writer. Acton schools do not sort students by age into grades. Instead students work together with younger and older children on a series of projects over the course of the school year, which is 11 months long at the Austin campus. No one is designated as a teacher in an Action classroom, which instead are served by “guides.” Those guides are expected to challenge students with questions and are not allowed to speak in declarative sentences, Sandefer has said. Sharpe said she and her sister are “early, early in the process” of planning for the new school, which would open at the soonest in fall 2020 with a focus on younger students. She said that tuition costs have not been set but would likely be comparable to those at other private schools in the area. Fox Valley Lutheran High School’s tuition next year will be almost $10,000 for students who are not part of an affiliated congregation. Acton charges roughly the same at its Austin campus. If the school plan comes together, it will help to resolve a major land-use issue for the city. The site that is under consideration is zoned for commercial use and has been for sale since 2009. The parcel, on Lake Butte Des Morts Drive, has remained undeveloped because it has limited access by car and mostly consists of unbuildable wetlands. The Acton school would be made up of a series of small studio classrooms, which could be easily sited on the 20 acres of usable real estate on the property. City officials think a school at that location could help to spur additional development in the area.